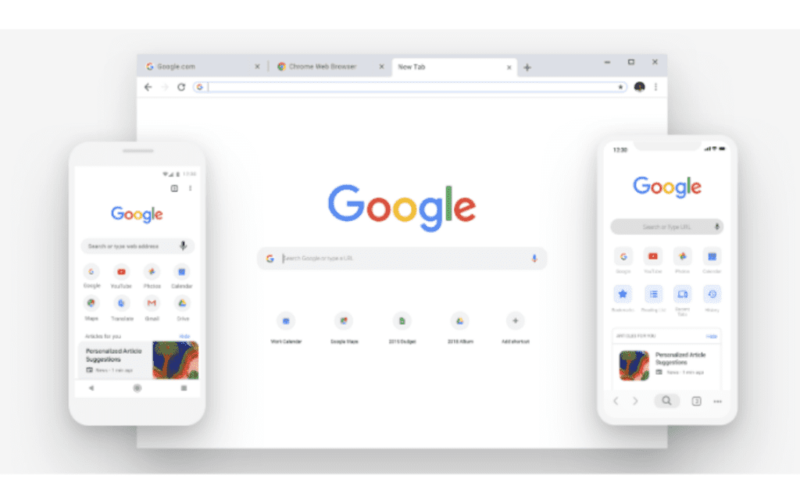 We’re anticipating some major upgrades when Chrome OS 70 hits sometime in early October but in the meantime, the Chrome team over at Google is giving desktop and mobile users a reason to join in on the browser’s 10th birthday. Saturday was the official anniversary of Chrome’s initial Beta launch on September 2nd, 2008 and boy has it come a long way. Originally released for Windows XP, the fledgling browser was subsequently released in Beta versions for Linux and OS X in December of 2009 with Stable releases to follow in spring of 2010. Since that time, Google Chrome has birthed not only mobile versions of the browser but even a full-fledged operating system that is single-handedly responsible for our existence. For that, we are exceedingly grateful. As Chrome gained popularity, the browsers market share continued to grow exponentially and today holds more than 60% of that share on desktop and over 50% on mobile. To keep things fresh, the Chrome team has introduced some new features and a spruced up UI that is rolling out to Windows, Linux and Mac users as we speak. If you’re a Chromie like us, a lot of these features may appear familiar as we have been reporting on them in upcoming versions of Chrome OS. For me, I had to take a very close look to see what was actually new. Since I generally keep my daily driver on the Developer channel and sometimes Canary, many of these updates have been live on my device for some time. For the uninitiated, here’s what to expect from Chrome 69 for desktop. Keeping with the Material Design 2.0 theme, Chrome 69 brings a much cleaner UI with a lot of white space, round icons and edge and new colors that mimic what you might see in your Google feed or the Google News app. You might also notice the shape of your tabs has changed. Developers have been tinkering with this on Chrome OS for some time and have created a number of different options depending on whether you’re using a tablet, clamshell or convertible. On desktop, you can see a cleaner, vertical look to the tabs that are intended to make better use of the top of the browser while keeping the tabs visible for ease of navigation. At one point, the “new tab” plus sign had been moved to the left of the browser. Thankfully, they nixed that change and I’m glad they did. It felt completely unnatural having to click to the left of the tabs everytime I wanted to open a new one. Thanks, Chrome developers. The rounded shapes extend all the way to the recently used pages. You can see in the image below that the icons on a new tab now look very similar to Android icons. The latest version of Chrome also brings improved autofill functions for filling out forms with information that is synced with your Google account. Emails, street addresses and even payment information now seamless auto-suggests when related fields are brought in focus. This feature also updates the Google password functions in your browser. I’ve had this on my device for some time and honestly, I thought it was already a thing. However, new to Chrome 69, when you’re logging into a website for the first time Chrome will recommend a secure password for you. You can select the suggested password or use your own and Chrome can save the password for you. Tip: To see what passwords Chrome has saved, simple point your browser to passwords.google.com. If you ever use the Google Search bar on your phone, this next snippet will look very familiar. Searching in the Omnibox(URL bar) of Chrome will now bring up suggestions and information directly in the search. If you’re searching for something that brings a result that’s already open in another tab, Chrome will let you know and let you “Switch to tab” just like that. There’s also an upcoming feature that we’ve seen in chrome://flags that will give you results of items in your Google Drive folders. Pretty handy, indeed. Circling back around to the New Tab Page, Chrome will now let you customize it by adding your own shortcuts and even adding your own wallpaper. You can see the new “add shortcut” button below along with a gear icon to upload your own background images. The Chrome team has added a little easter egg to help you celebrate a decade of Chrome. Ever play the Chrome Dino game? You know, when you don’t have an internet connection and you’re really bored or your boss is droning on and you need to kill some time. Head over to chrome://dino and start the game with your space bar. (no need to disconnect from the internet) The team has added some tasty cakes to liven up the party. If you let your little dino run into one, he’ll don a birthday hat and keep on trucking. We’re looking forward to what’s next for the Chrome browser and hope to be sharing again in another ten years as we unbox all the Chrome things.